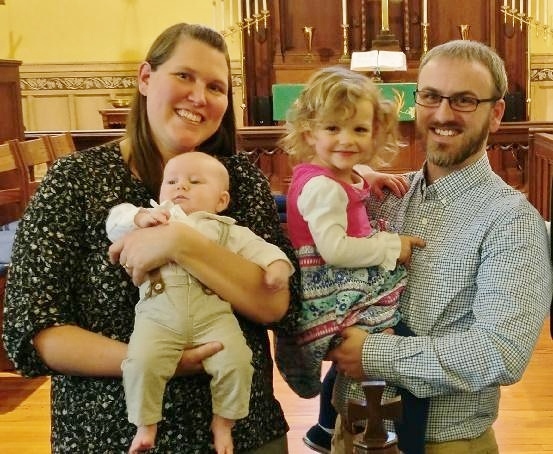 Growing up at St. John’s Lutheran Church in Grove City, Ohio, Stephen and Rachel were blessed to learn the value of knowing and serving God, as well as serving others. The Katterhenrichs have been serving with Wycliffe Bible Translators in Tanzania since 2011, working in the city of Mbeya where 13 different language groups are working together on Bible translation. They work primarily with the Bungu language, doing analysis of the language and developing a writing system for Bungu. Stephen enjoys working as a translation advisor, assisting in the translation of God’s Word into the Bungu language. Visit Stephen and Rachel’s blog. Click here for a form to “adopt” Stephen Katterhenrich and send direct support.